Fibromyalgia, according to some people, has made their lives more difficult than they could possibly have imagined. Having this chronic pain disorder means you’re experiencing aches every single day and can barely get anything accomplished. In this day and age, however, there are several, effective ways to better cope with this condition. Fibromyalgia is a bit of a strange disorder. It’s painful and incurable, so you’re basically left with no other option than to cope. Worry not, because there are effective coping techniques that will help you not only deal with the pain, but also carry on with your life like any other person. Because the condition can’t be cured, all we really want are effective and efficient ways to cope with it. It’s never ideal to dwell on a problem because it keeps us from moving forward. What does help a person move on from this challenging circumstance is to actively find ways to ease its symptoms. Stiffness is a typical feeling for those who have fibromyalgia. When you exercise regularly, it would boost your blood flow, ease your pain, improve your mood, reduce fatigue, and improve your heart health. While you can engage in different exercise programs, it’s important to be aware of your limits so as not to overexert yourself. While this should be applied whether or not you have fibromyalgia, it’s even more necessary when you do. Stay away from anything that is unhealthy and unbeneficial to your body. Foods with preservatives, sugar, and nitrates are just a few examples of what you should not be eating. Keep it healthy by going for lean meats, leafy green vegetables, fruits, whole grains and fibers, and water. Getting enough sleep is absolutely vital when you have fibromyalgia. This is because rest helps you manage one of the condition’s more major symptoms – fatigue. Implement ideal sleeping habits like keeping your sleeping quarters cool, comfortable, and free of distracting noises. Your pre-bedtime rituals should involve activities that help you relax and feel at peace. There are times when we simply cannot avoid stress. For those who have fibromyalgia, stress usually comes to them, so it’s even more important to actively avoid these situations when you can. Stress is what keeps you from thinking clearly and performing your daily tasks properly. If you want to live a high quality of life even with fibromyalgia, then talk to the people who can help you accomplish all that and more. 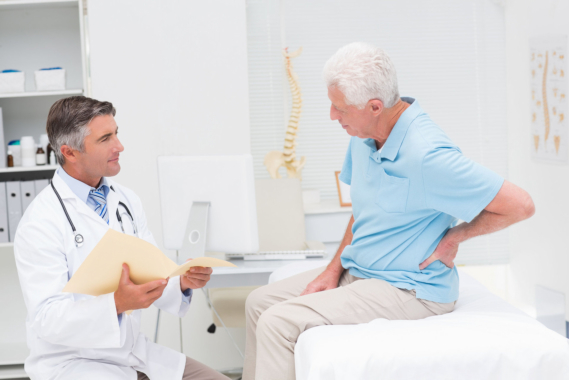 Doctors and specialists, particularly those working at Advanced Spine and Knee Hospital, a reputable pain management center in Hyderabad, Telangana, are exceptional when it comes to the provision of pain interventions and other solutions to help you deal with fibromyalgia and other chronic pain disorders. This entry was posted in Fibromyalgia and tagged Chronic Pain, Exercise, Get Rest. Bookmark the permalink.